Gloria’s Rosary & Funeral services will be held at St. Raphael Parish, 2301 Zanzibar, El Paso, Texas, 79925 on Monday, April 15, 2019 from 3:00 pm to 5:00 pm. The rosary will begin at 4:00 pm. The funeral mass will be held on Tuesday, April 16, 2019 at St. Raphael Parish at 9:30 am. The interment will follow mass at Mt. Carmel Cemetery. 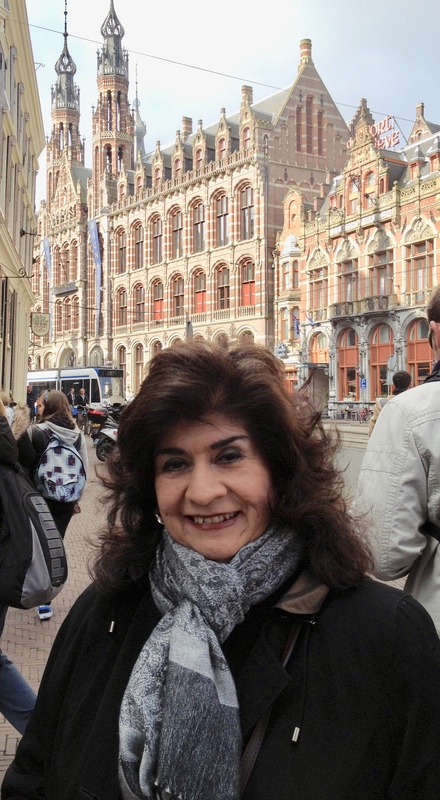 Gloria Elissa Hoyos, 72, peacefully passed on April 6, 2019. Gloria was born and raised in El Paso, Texas, and was the eldest of five children, daughter of Frank and Elisa Ayon. Gloria graduated from Bel Air High School and received two degrees from the University of Texas at El Paso, a Bachelor’s Degree in Political Science & Spanish with an Elementary Texas Teaching credential, and a Master’s Degree in Educational/Instructional Technology. Gloria worked in the Contracts and Grants Department at UTEP’s Graduate School and continued her career in education and taught for the Ysleta School District. Gloria was revered as an elementary school teacher and was promoted as the Title I Coordinator at Ascarate School where she set up a Writing Center for students and trained teachers throughout the Ysleta School District. Gloria’ contribution to the education of children did not go unnoticed and she was instrumental in preparing the proposal for the Ascarate’s School’s prestigious National Blue Ribbon Award. Gloria also worked for the Discovery Channel, as the first bilingual representative to promote educational television where she presented in the U.S., Puerto Rico & Costa Rica. After 40 years of full-time service she retired from Ysleta School District, but did not sit idle. She continued to work as a board member of a charitable organization and as a part-time Instructor at the University of Texas at El Paso in the Education Department where she trained student teachers in Children’s Literature and Writing. 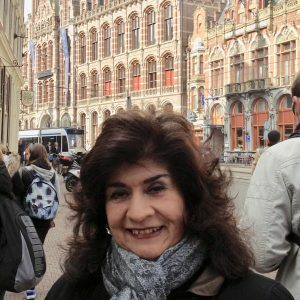 Gloria was known as someone who enjoyed life and loved to travel throughout the United States, Hawaii, Mexico and Europe and was planning a trip to China in the fall. Gloria will always be remembered and loved for her exuberance and ability to put people at ease in any professional or social situation. Gloria is a member of the St. Raphael Church Parish where she attended weekly mass with her late sister, Patty Clark. She is survived by her dear sister, Sylvia Stuckey and husband Jay Stuckey, sister, Olivia Leschick and husband, Andrei Leschick, brother, David Ayon and partner Monica Lozano, niece, Monica Leschick, brother-in-law, Skip Clark, and her best friends, Manny Castaneda, Paul Haupt and Carol Haupt. Gloria’s Rosary & Funeral services will be held at St. Raphael Parish, 2301 Zanzibar, El Paso, Texas, 79925 on Monday, April 15, 2019 from 3:00 pm to 5:00 pm. The rosary will begin at 4:00 pm. The funeral mass will be held on Tuesday, April 16, 2019 at St. Raphael Parish at 9:30 am. The interment will follow mass at Mt. Carmel Cemetery.